Yep, it's another Sweet Treats cut! 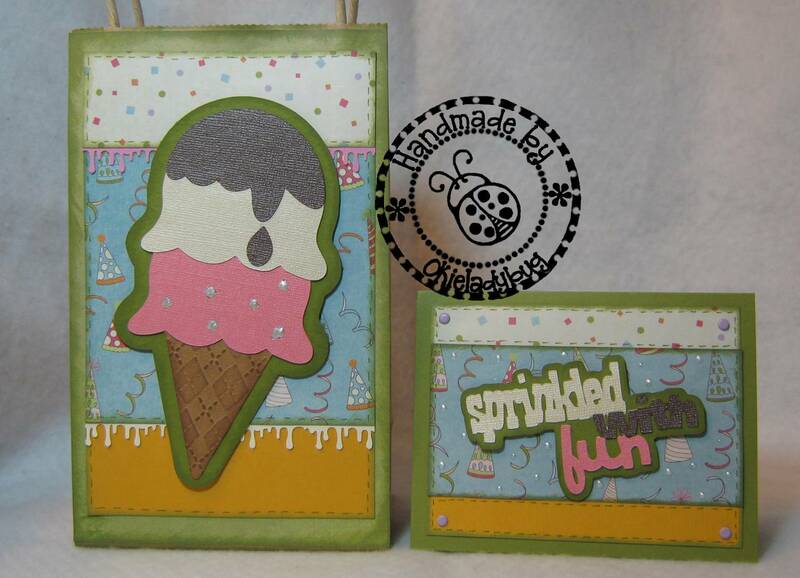 I love this ice cream cone and thought it would make a great gift bag and card set. The middle strip needed something on the card so I added some dots with the Pearl pen and I think it gave it just the little something extra to make the card pop. The sentiment is from Sweet Treats and it does have the layers to cut for it. I thought the words should match the ice cream, even if it isn't in the same order as the scoops on the gift bag *okie wonders if she is the only person that would notice such a thing*. I will admit I meant to punch some Drippy Goo strips for the card but forgot until after I had the cards put together and didn't want to go back and do them and take the card part to add them. The ice cream cone is such a fun looking cut and I was trying to decide what "flavors" to use and figured the standard chocolate, vanilla and strawberry would be good. 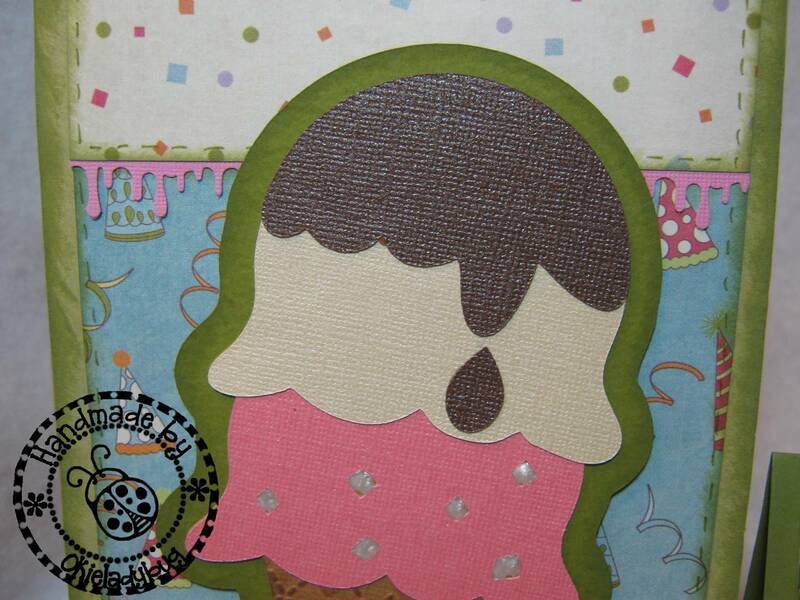 I think using the Bazzil bling cardstock gave it a nice sheen of icy goodness *okie cracks herself up sometimes with her dorky comments*. I think the Drippy Goo punch added a cute touch to the gift bag and I used coordinating colors of the ice cream scoops. Oh and I filled in the areas on the pink scoop with the Pearl Pen. Tomorrow will be my last gift bag card set, at least I think it will. We shall see! Love this set! Looks yummy! And no I would not have noticed that the colors aren't in the same order.....it looks great to me!! 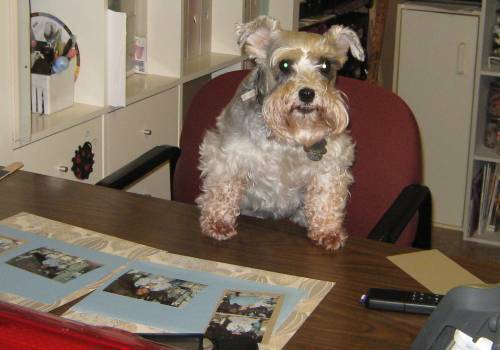 Love it--the background paper is perfect! 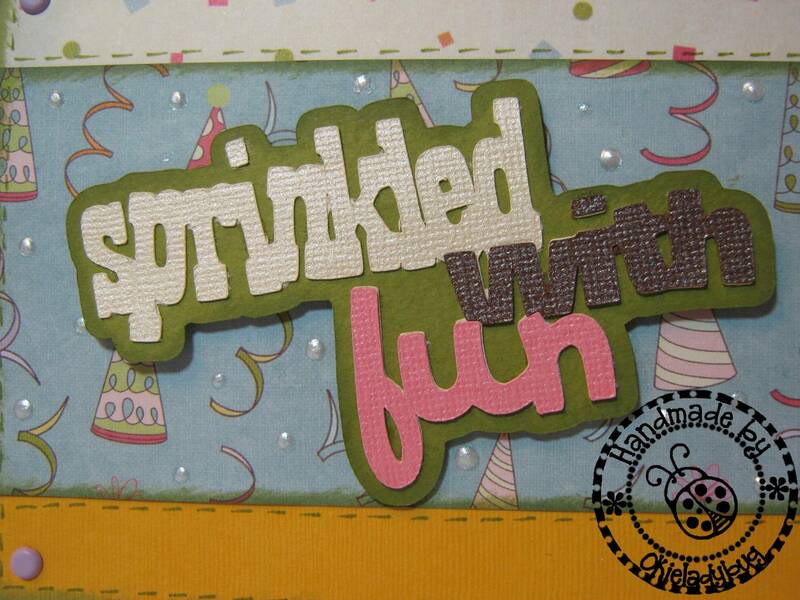 Okie...Love the card and how you used the drippy goo punch! I gave you a "Stylish Blogger Award"...go to my blog...http://scrapbookingbybethany.blogspot.com/ and pick it up. Thanks for sharing!!! I need to start stocking up on these quick "go to" birthday cards and bags. So cute! I am thoroughly enjoying your Gift bag Card Set series. 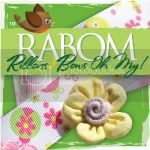 I love your color coordination and I hope you don't mind if I mirror as closely as possible when I make some for friends! Love both projects! That cone is adorable! Well of course we didn't notice that the colors weren't in the same order - until YOU pointed it out! LOL! I like this set very much! 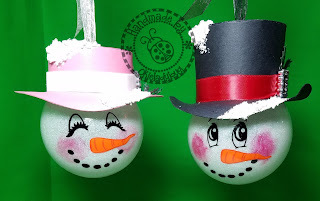 The drippy goo is just the right touch...I love that idea.